Rejoice, Apple fans, as it's that time again when the tech giant rolls out its newest batch of updates. Even macOS is getting in on the update action today with the inclusion of the eyestrain-reducing Night Shift mode. But, we digress: for fans of Apple's more mobile tech, however, the pot gets that much sweeter. iOS 10.3 and watchOS 3.2 have launched, with each platform bringing new features to Apple's phones, tablets, and smartwatches. 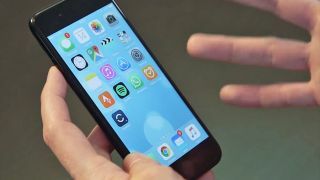 Without further ado, let's look at what both mobile operating systems are due for with their latest updates and how you can get each running on your devices as soon as possible. The newest iteration of iOS adds much-needed AirPods support to the "Find My iPhone" feature, allowing those who've (understandably) misplaced one of their wireless earbuds to ping it on a map or play a sound to help pick it out of a messy room or cluttered bag. iOS 10.3 also beefs up Apple's digital assistant, Siri, adding increased support for checking pending bills on payment apps, scheduling trips via ridesharing apps, and even monitoring fuel, locks, and lights for your car with certain automaker apps. Speaking of which, Apple CarPlay also gets some love from iOS 10.3, primarily shortcuts for accessing recent applications and even curated playlists courtesy of Apple Music. Finally, other additions of note from iOS' newest iteration include the ability to watch rented iTunes movies across multiple devices, 3D Touch and widget support for the Podcast app, and the ability to delete unwanted invites in the Calendar app and mark them as junk. To get your hands on iOS 10.3, open the Settings app on your device, go to the General tab, and then find "Software Update." Make sure you're connected to Wi-Fi and plugged into a charger to save on data and battery, though! For fans of Apple's wrist-mounted supercomputer, a whole new version of watchOS is out for the Apple Watch. Among the more prominent new features for the Watch is Theater Mode, another long-awaited trick that prevents the screen from waking up when you move your wrist and mutes incoming messages — an especially courteous move for the next time you're as the cinema. The latest version of watchOS 3.2 also carries SiriKit, which allows the digital assistant to work with third-party apps on your Watch. The kind of apps developers can integrate Siri with via Apple Watch are limited to certain sectors — such as payment, transportation, and fitness — but it is nonetheless a welcome addition. Next, while both the Watch and iPhone are charged and connected to Wi-Fi, open the Apple Watch app, tap the My Watch tab, then hit the General tab and find "Software Update."